Being at the crossroads between the East and the West, Turkey boasts rich heritage and a unique cultural mix. 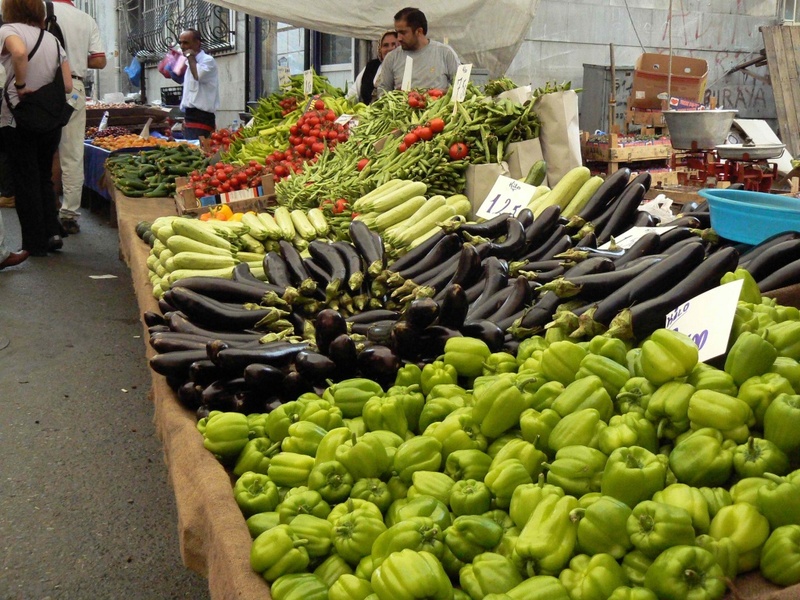 These factors are perfectly reflected in the country’s cuisine, which is renowned worldwide for its expert use of exotic spices, fresh produce, and incredible variety. Sampling Turkish food alone is a great reason to visit the country, so continue reading to find out what you can expect from a food tour around this fascinating country. Whether you are in remote and mesmerising Capadocia or in cosmopolitan Istanbul, you can be sure that delicious food treats will be everywhere and ready to be sampled. Turkey holidays 2014 are perfect for holidaymakers who want to enjoyÂ beautiful scenery, fascinating rock formations, and much-loved delicacies. Visiting an ocakbasi is a great way of starting a culinary tour through Turkey. You get to cook your own chicken or lamb kebab at these self-service barbeque restaurants, which often also serve salads, meatballs, and alcohol. At other restaurants you’ll easily find Turkish staples like manti (similar to ravioli),Â sac kavurmaÂ (a meat and vegetable scramble), or testi kebab (vegetables and meat cooked and served in a clay pot). 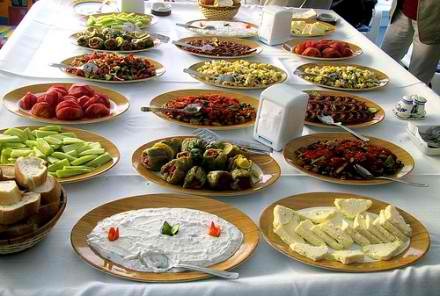 Turkey has something of a ‘tapas’ tradition, as the great variety of snacks on offer can easily replace a meal. Tapas are called meyhance in Turkey, and every town has at least one meyhane restaurant, where you can soak up the traditional atmosphere and enjoy live music and a great ambiance while you try delicious snacks like dolma (stuffed / pickled vine leaves), melon and feta-style cheese, eggplant salad, and marinated fish bites, all doused with copious amounts of raki, the national liqueur. When eating at a meyhane, you will be served large platters containing up to 30 different snacks, which you are supposed to share with others in your party. 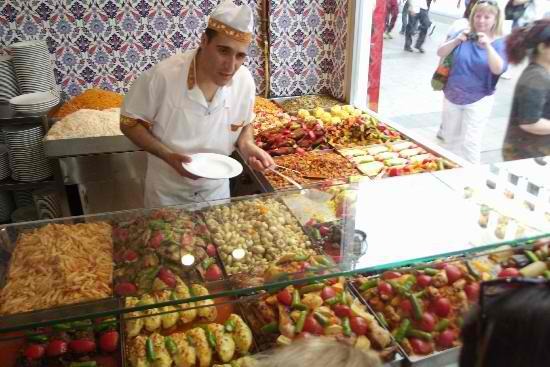 Wherever you are in Turkey, you’ll never have to wander too far to find appetising and filling street food. Some must-try dishes include gozleme (crepe-style dough stuffed with spinach, potatoes, or cheese), simit (donut-shaped bread topped with sesame seeds), lamacun (individual ‘thin-crust pizzas’), or balik ekmek (fish sandwiches served all along the Turkish coast). A food tour through Turkey is a great opportunity to experience the world’s ultimate fusion cuisine. With its mouth-watering, varied, and visually appealing range of foods, Turkish cuisine will surely become one of the highlights of your holidays in Turkey.